Discussion in 'General Discussion' started by Al-Jim19, Mar 25, 2017. What's the little red button do? Cabela's has the Vortex Viper Gen 2 PST 1-6x MRAD for $549 with free 2 day shipping. Active junky is offering 7% cash back for Cabela's, $38.49 coming back to me. Rise.com has Cabela's gift cards for around 10% off, $550 in gift cards was $498.89. So, I got that scope for $460.40, with 2 day shipping. I'm pretty stoked about that. Horrible, jpm, BUMPA01603 and 8 others like this. I have one of their 16” piston uppers, it is very accurate for the length, has a very good finish, and has not given me any problems. Holosun on sale again. I'm waiting for a good price on the HE510-GR. I like the 510C much more than 503GU. But for $130, can't go wrong. on sale again through Woot (Amazon) I own two and think they are very good bags. What is the difference between 503 and 510? They look very similar to me. 510C has a much wider window vs the 503. 30.5mm vs 20mm. 510C comes with a QD integrated mount. Whereas the 503 comes with a cheap mount. So have to factor in the cost for a better mount as well. Think I bought the 510C with red reticle for $210 last year. 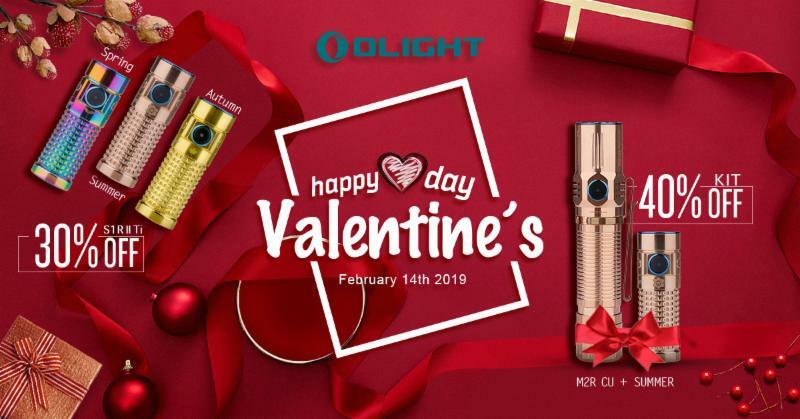 Valentine's Day sale at Olight on a couple of select lights. Decent discount. For the collectors out there, only $42. Other options available, almost sold out. I may have to get one of these holsters from White Hat. Presidential day special. ldi and Redbeard22 like this. Two interesting options from Aldi. A good sized dehydrator for drying cases for 25 bucks and a under counter led for 10 bucks. "It comes with a little gavel, not a life support machine. Ruth Bader Ginsburg is a U.S. Supreme Court Justice." Evadd, cbrxx, Tallahassee and 3 others like this. New CAA MCK with stabilizing brace. $200 after 20% off code and free shipping from Glockstore.com. I have been curious about these for a long time and the new version worked out a lot of the flaws with the gen 1. Dumb question, but is this thing MA compliant? The stabilizer version yes. The version with the stock would require you to form 1 the pistol lower. LINK: MAGPUL PMAG MOE 5.56 30RD BLACK MAG571-BLK - SALE !!! PMAG 30 AR/M4 GEN M2 MOE is a 30-round 5.56x45 NATO/.223 Remington/300 AAC Blackout AR15/M4 compatible magazine. Not trying to one-up anyone, but there was a deal posted by another member here the other day (cant recall who and cant find the original post for some reason). Same mags with code PMAG at Palmetto State Armory. Order 10 and get free shipping. So total cost for ten mags with code and free ship is $79.90. Save a buck a mag plus save the $10 shipping fee. Deal expires tomorrow. Just a few years ago a food dehydrator cost $1000. They were being advertised all over the net during the prepper hay day. It looked to be a high quality unit that did things that were amazing. Then the Chinese started to make them and the cost was cut by 90%. Are you sure you arent thinking of freeze dryers? Plus those hay-days were. . . . 20 years ago. Damn we are getting old. LOL. Alton Brown made a food dehydrator out of a box fan. Which is all that one normally is. Sometimes with a heating element in it. 12,500 rounds of Federal Lake City XM855 62gr green tip penatrator ammo! .28 cents per round. Shipped in a single barrel. Next time that silly ATF green tip ban comes around you will laugh. In the dealer classifieds for 40 cents per round plus tax...I honestly don't understand some dealers. Who the F is going to pay that when you can spend 25-27 cents per round for 55 gr FMJ ammo from TSUSA??? jpm, Whiskeywon, JRT and 2 others like this.